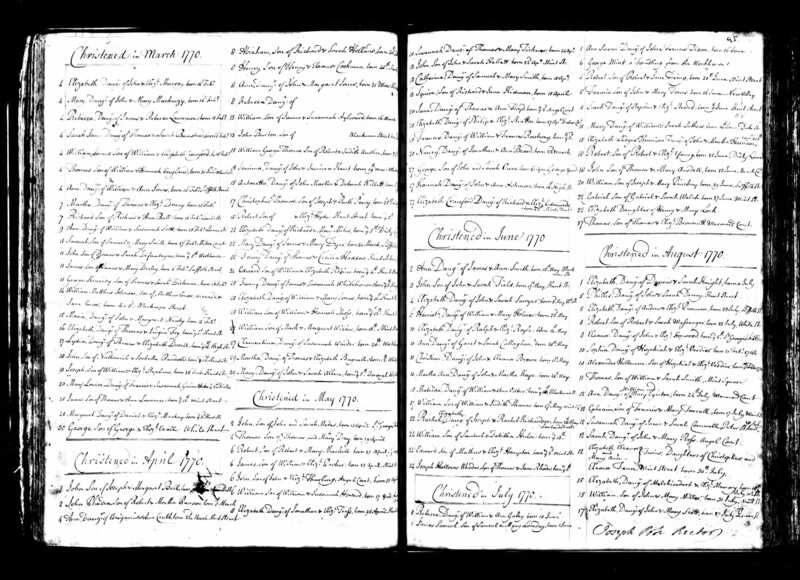 » EZZY, Jane EZZY, Jane | Cape Banks Family History Society Inc.
William EZZY born Berkshire, England in 1767 arrived in 1792 on the “Royal Admiral”. He was 26 years old and tied for his crime at Middlesex in 1792. He arrived with his wife Jane (nee FLOYD, born 1770 in Chelsea, England) and daughter Louisa. 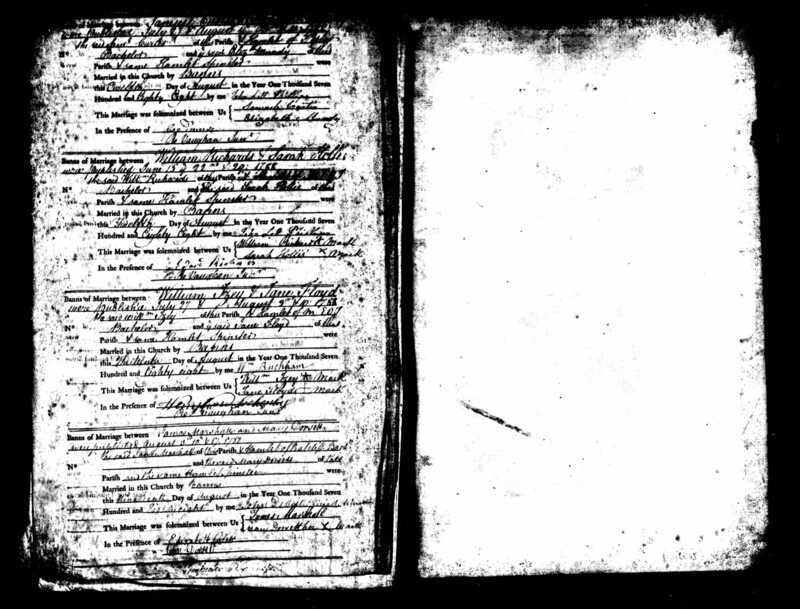 William EZZY (shown as IZEY in church register) and Jane FLOYD married on 13th Aug 1788 in St Dunstan’s Church, Stepney, England. Jane FLOYD was baptised 20th May 1770 at St George the Martyr, Surrey, England. James William EZZY baptised as James William HESEY 1790 in Southwark, England. Louisa EZZEY born 1792 in Southwark, England, baptised 1792 in Sydney, N.S.W., died 1792 and was buried in the Old Burial Ground Sydney. John EZZEY born 1795 in Richmond, N.S.W. Lucy EZZY born 1798 in Mulgrave Place, N.S.W. Mary EZZY born 1800 in Hawkesbury District, N.S.W. Charles EZZY born 1802 in Hawkesbury District, N.S.W. Elizabeth EZZY born 1805 in Mulgrave Place, N.S.W. Sophia EZZY born 1807 in Mulgrave Place, N.S.W. ROBERT TIRESMAN, WILLIAM IZZY, THOMAS WATMORE, Theft > grand larceny, Theft > receiving, 7th December 1791. ROBERT TIRESMAN and WILLIAM IZZY were indicted for stealing, on the 2nd of November last, a wooden cask, value 5s and 36 gallons of yeast, value 16s. The property of Felix Calvert, Robert Ladbroke, William Whitmore, Robert Calvert, and Charles Calvert: And THOMAS WATMORE was indicted for feloniously receiving the same, knowing it to be stolen. I am a watchman of the ward of Aldgate; I have seen the prisoner Watmore once, and the other two a great many times; I was directed to watch the two first prisoners; about the beginning of November I saw them come through Aldgate High-street into Whitechapel, that is the road from Tooley-street to Petticoat-lane; they had a sledge with no wheels, and a barrel, and a tub like a half barrel; I spoke to John Jameson ; I did not go to Watmore’s house; I went where they went to on the return along Fenchurch-street, Fish-street, over London-bridge, to Tooley-street, about half after four, when they returned, the place looked then like a brewhouse; I have since found it was a storehouse belonging to Messrs. Calvert and Co.; I observed they took a sledge and a barrel, nothing else; I observed a difference in the sound, that there was something in the barrels as they came towards Petticoat-lane, and empty when they returned; I took the prisoners the 19th of November, about four in the morning; the two first prisoners were coming again along with the sledge, and a barrel and tub upon it, as usual; I jumped across, and stopped the horse; Tiresman asked me what right I had to stop it; I told him I understood it was spirits or gin; he said, no, nothing but yeast from Mr. Calvert’s; I said it was my duty to stop him; if he would go to the watch-house, we had officers that were looking after smugglers; he said, we will go back, and leave the sledge here; I said no, and they went with the sledge to the watch-house; they walked in; they saw no officers; I told them they would be there presently; with that, Tiresman says, we may as well shoot this barrel down here, and go for another turn, and by that time your officers will become; I went and fetched the beadle, and the prisoner Tiresman shewed us a key of a storehouse, marked Rupert-street, Whitechapel; we told him he had better tell where he brought it from; he said, from Mr. Calvert’s; the prisoners were secured; in the barrel there was yeast, and nothing in the tub, that I look upon to be a receiver; I did not go to Watmore after the 19th. I am a watchman in Aldgate High-street; I remember, the beginning of November, seeing the two first prisoners with a sledge; they went into Boar’s-head court, Petticoat-lane; they came out about a quarter of an hour; I did not like to go into the court, it is a very bad place; Mr. Watmore lives in the court, but I do not know the house, or the number; they came back again with an empty cask, because it rumbled and tumbled on the sledge, and before it was solid and steady. I am the constable of the night; I was in bed; I took the charge; they had a cask of yeast, containing 36 gallons, which they said they brought from Calvert’s. I am a constable; I went to a house in Petticoat-lane, where Flood lives, in Boar’s-head yard, the 19th of November; Flood works for Watmore; I saw Watmore and Flood at Mr. Flood’s, putting a cask down a cellar; I took no notice; I went and fetched Mr. Read, and we went back and found the same cask in the cellar; nothing else was in the cellar but the cask. They certainly had no orders to carry any on the 7th or 8th, or on the 19th; I went to Flood’s house, and saw a cask in the cellar; it is the property of Messrs. Calvert and Co.; we sell none of that kind; one and has Felix Calvert and Co.; the value of it is 5 s.
Tried by the second Middlesex Jury before Mr. Baron PERRYN. Permission for William EZZY’s second marriage to Jane MILLS (alias Charlotte GROVES) was granted in 1829. William was 66 years old and free. Jane was 63 years old, tried at Middlesex in 1811, sentenced to transportation for life and arrived in 1812 on the convict ship Minstrel (1). Jane had her “Ticket of Leave”. She died in 1835 at Windsor and the Coronial Enquiry found she died from “Visitation of God” and is buried at St. Matthew’s Church of England, Windsor, N.S.W. Jane EZZY (nee FLOYD) departed this life 11th August 1821, aged 51 years. William EZZY died 23rd April 1830 and is buried at St. Matthew’s Church of England, Windsor NSW.